Every day, UNT reaches out to the community to create partnerships and offer helpful services, making us the university for North Texas. UNT enriches, inspires and helps the communities of the region in many ways. UNT's Center for Leadership and Service links students who want to serve with causes that need assistance, including off-campus projects that support community needs and on-campus projects. By connecting UNT students with volunteer opportunities, the center develops learning opportunities to engage students as active citizens and leaders in the global community. Become a partner with UNT's Center for Leadership and Service. UNT has 38,000 students and 4,600 employees, making it an excellent source of volunteers. Whether you need someone with a particular skill, a volunteer for one hour a week, or a lot of bodies to staff an event, we want to help. UNT has many student organizations dedicated to service and volunteerism. Visit our student orgs website to discover the various ways UNT students give back to the community (click on "Service" link under "Browse By Category"). Designed for fun and intellectual development (learning simply for the joy of learning), the Osher Lifelong Learning Institute provides an extensive range of classes, travel programs and social activities for adults age 50 and older. Educational trips to locations around the world led by UNT faculty members and other expert guides. Allow professionals in the North Texas region and beyond to take non-credit courses taught by UNT faculty members. Both online and in person classes are offered. Provided in conjunction with Ed2go, UNT's online minicourses are downloadable 12-lesson modules designed to meet your needs for skill development. Provides sessions to improve mental toughness for individual athletes, coaches and leaders, and teams and groups. Services include assessment, counseling, and parent education classes. Responds to the needs of families through research, advocacy, resources and leadership and helps start partnerships between parents, schools, and agencies through research and seminars. Formerly the Center for Parent Education. Services include processing new passport applications, taking photos and replacing lost or stolen passports for students, faculty, staff and the general public. No appointment is needed. Provides families with a resource for evidenced-based interventions and training, as well as comprehensive treatment, research and support for individuals with autism spectrum disorder. Play therapy uses play—children's natural medium of expression—to help them express their feelings more easily through toys instead of words. The center provides play therapy services including individual play therapy, group play therapy and parent training. Provides investigative encounters that engage students of all ages in field activities and discovery experiences, designed to encourage sound environmental decision making and responsible environmental stewardship. Partners with many community organizations to record, transcribe and archive oral history interviews covering a wide variety of subject matter in order to preserve local, state, and U.S. history. Services include individual and group therapy; marriage and family therapy; play therapy; behavior health services and intelligence, vocational and personality evaluations. Services include diagnostic and treatment services in speech-language pathology and audiology. Provides several resources and services for the wider community and serves as a hub of activity on campus for special events. Print, publishing, copies, graphic design and multimedia services. 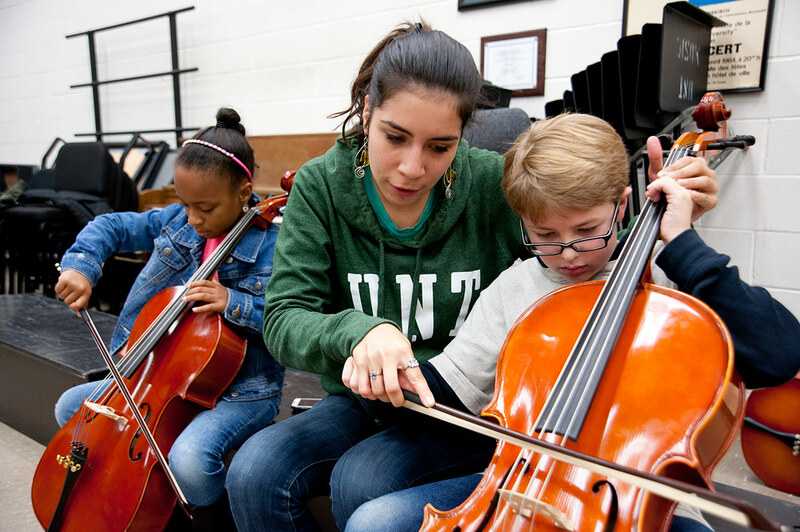 Hosted by UNT’s College of Music, these camps span experience levels from elementary school to college. Many camps include to performances in public concerts throughout the summer. Through UNT’s Computer Science and Engineering department, Robocamp allows kids 12 and up to learn about robotics, programming, and game development in week-long, all-day programs. Building college knowledge for young students and parents and creating a college-going culture to encourage education past high school. Elm Fork Explorer's Camps are week-long half-day science education sessions for 2nd through 8th graders that can be combined with Discovery camps (which are more about recreation and arts and crafts and less about science) to create full-day programs. UNT’s Debate camps range from one to three weeks and provide a national level institute designed for middle and high school students at all levels of experience. Join Mean Green head coaches and staff for athletic development experiences in basketball, football, soccer, swimming and diving, tennis, track and field, and volleyball. College awareness program targeting students in elementary, middle and early high school, designed to introduce UNT and our outstanding academic programs to students in these age groups. Make your next event a success at the University Union, Gateway Center or Coliseum by taking advantage of the Union's one stop shop‚ for venue selection, set-up and catering services. From summer camps to international conferences, event management services can help you arrange meeting and recreational spaces, housing, dining services, transportation, social events and all the support services you need for a successful event. World-class catering from donuts and coffee to hors d'oeuvres and full-course meals to satisfy any taste. UNT's restaurant, operated by students in the Hospitality Management program, is a great casual setting for your birthday or business luncheons and can easily accommodate large parties. Fresh, delicious, made-from-scratch food served in affordable group-sized amounts. The Gateway Banquet and Conference Center is a 28,000 square foot, multi-level facility located on the entrance to campus. Services include meeting rooms, outdoor spaces and an extensive banquet facility. With 10,3000 square feet of arena space and 43,685 square feet of concourse, the Coliseum is large enough to host basketball games, commencements, concerts, luncheons, workshops, dances, camps and competitions.